Ahdaf Soueif has a fascinating piece in today's Guardian called "The Dig Dividing Jerusalem". Soueif is an Egyptian political and cultural commentator (as well as a short story writer and novelist) and is giving an alternative view on the archaeological work at sites in the occupied territories. Silwan, for example, has been identified as the site of the City of David, but Soueif claims that "most scholars agree that, to this day, no evidence of the presence of Kings David or Solomon has been found at the site". I don't really have enough of a grasp on the subject to assess such a statement, but if true it would make the claims of Soueif and others fairly shocking. Half a million people are given tours of the area each year by the same organisation that are carrying out the dig, undermining, and in some cases subsiding Palestinian homes and schools. The significance given to any archaeological finds in the area boost the saleability of the tours, whilst simultaneously strengthening the case for Israeli control of the area. Soueif doesn't really touch on the other potential dynamic at work here: the majority of tourists that visit archaeological sites in Jerusalem do so because of religious convictions. They pay significant amounts of money to in order to see how archaeology supports the Bible, thus informing and strengthening their faith. 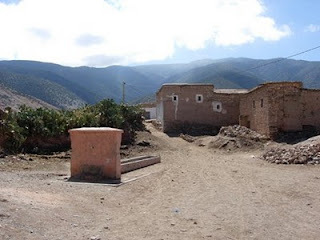 Such a scenario however leaves these tourists highly susceptible to confirmation bias: having paid out all that money and travelled all that way, most people will be pre-disposed to believe that the claims made about these sites are true. All of which goes to show that you have to be careful to weigh such claims carefully - they maybe heavily influenced by political or religious bias. Back in 2008 I posted about the film Sweet Baby Jesus that was lining up Britney Spears to play a 'modern day' Virgin Mary. I've heard precious little about this film since then until today when Jeffrey Overstreet linked to an article at Deadline London. It appears that Spears has been replaced by Pixie Lott (pictured), one of the gazillion identikit, young, blond, sort-of-musician sort-of-actress, types whom I'm no longer able to distinguish from one another. The Deadline piece though focuses more on the announcement that Joseph will be played by Sam Rockwell (Hitchhiker's Guide to the Galaxy, Iron Man 2). Filming is due to take place in Bethlehem, Maryland in August under the direction of Peter Hewitt. Bette Midler and Kim Cattrall are also lined up to star. Empire and Variety also have the story, with the latter adding that the film will actually be set in the seventies. Just a quick post today as I just came across a brief review of Cheick Oumar Sissoko's La Genèse on Brandon's Movie Memory. It's interesting for a few different reasons. Firstly, it's written by someone who is familiar with other work by both the director and some of his lead actors. Secondly, he's also writing as someone who is not familiar with the biblical story. The Genesis account is not always easy to pick out in La Genèse, even for those that think they are familiar with the source text, but it's interesting to hear comments from someone who has no prior knowledge of what is going on. Lastly there are also some nice screen grabs from the film. I keep meaning to review it myself one day...one day. It's not often that graduation projects earn a mention in Variety, but they have a whole article on Belgian director Gust Van den Berghe's short Little Baby Jesus of Flandr. The reason is that Van den Berghe's film "is in Cannes with a slot in the Directors' Fortnight". There are quite a few reviews for the film up already including Screen Daily, Indiewire and The Hollywood Reporter. ...three drunken beggars go caroling to earn some money and in the woods come across what one, Suskewiet (Jelle Palmaerts), is convinced is the birth of the baby Jesus. In the touching scene, the beggars leave the poor but happy family the only gifts/possession they have: scraps of food, money and "for when the kid grows up," some cigarettes. Later the three fall out and one of them ultimately "sells his soul to the devil in exchange for material wealth". The film has rightly been lauded for not only employing actors with Down's Syndrome, but giving them "something other to play than token handicapped characters". The trailer is available to view online, but I suspect the opportunities to see the film itself will be fairly limited. 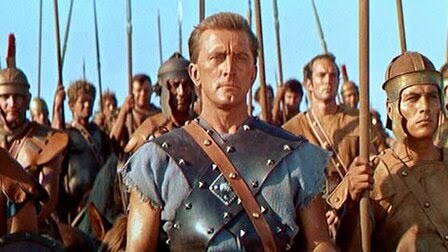 I finally got to see Spartacus on the big screen on Friday, which was pretty incredible. Despite being a big fan of the epic films of the 50s and 60s, this was the first time I had ever seen one on the big screen, and what an experience. It was also only the second time I'd seen the film and I'd forgotten so much of it in the meantime, particularly the extent to which Jean Simmons is in the film and Peter Ustinov's hilarious turn as Batiatus. Incidentally, I got a bit of an epic-movie-geek kick out of the scenes between Ustinov and Charles Laughton because they both played Nero in early-Christian Roman epics, Ustinov in 1951's Quo Vadis and Laughton in The Sign of the Cross (1932). My two favourite scenes were the build up to the final battle scene - the huge Roman army gradually making its way towards the slaves looked very impressive on the big screen - and the scene with Kirk Douglas and Woody Strode waiting to go into the ring together. Most directors would have gone for the action shot here, shooting the first gladiatorial contest with, perhaps, just an occasional glance at those waiting to go out next. But Kubrick reverses this. He stays with the two men who will go out next allowing us only a very occasional glance at the two other men. The tension and build up here is wonderful, made all the more claustrophobic by the two men being penned in to a tiny shed. The film is well known, of course, for bookending the story with references to Jesus. The opening monologue notes that this is the century before Jesus, and that it would be his teaching that set the wheels in motion for the abolition of slavery. Of course sadly still exists in the world today, but there's much in this film's subtext that suggests it's much about the founding and development of America as it is about 1st century BC Italy. 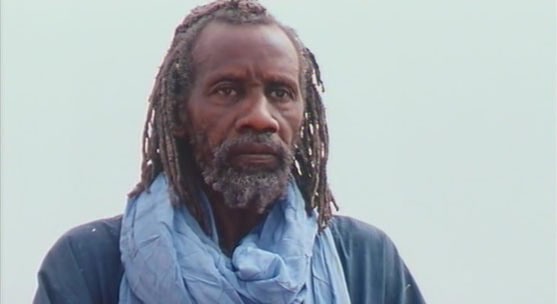 Then, of course, the film closes with the crucifixion of the heroic, freedom-preaching, rebel leader, which whilst based in real historical events is, nevertheless, an allusion to Jesus as well. 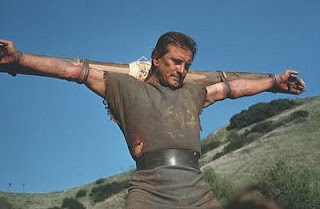 It does also shed some light on the practice of crucifixion, most notably the scene were Douglas and Tony Curtis fight to try and kill each other because they would prefer their friend to die by their sword than undergo crucifixion. The fact that they didn't think to stab each other simultaneously is one of the film's few weaknesses however. Having said all that, I think the film is much more of a Moses film than a Jesus film. For most of the film we are with these travelling, newly-freed slaves, as they seek to organise themselves and escape to permanent freedom. In contrast to the real story, Kubrick has Spartacus march is army down to the sea, and then to get them to march back again. Was this just so he could show the freed slaves trapped by the sea against an advancing army wanting to imprison them once again? Spartacus also does what The Ten Commandments (1956) rarely does; give an idea of what life on the road might look like for such a large community. DeMille does, of course, show the ordinary people as they prepare to leave their homes in a magnificent sequence, but once the new nation is in motion the details are rather brushed over. Spartacus deals with the need to train his new army, plan a route and make allegiances, but it also shows the people relaxing and eating, caring for the vulnerable and progressing through the seasons. I vaguely remember there being a couple of other points I wanted to make about this as well, but, for the moment, they seem to have escaped me. Incidentally, the 2010 Starz mini-series Spartacus: Blood and Sand premières in the UK on Bravo on May 25th. From the clips on the Bravo website it looks like the new series is influenced much more by Gladiator and Rome than the original, but given that Gladiator was itself heavily influenced by the Kubrick film I imagine that there will be something or other to link it with the original. There was an interview with one of the show stars, John Hannah, in Monday's Guardian. Call for Entries for the "Encyclopedia of the Bible and its Reception"
Walter de Gruyter Publishing House in Berlin, having recently finished the Theologische Realenzyklopädie (TRE), is now publishing an equally ambitious research tool – an Encyclopedia of the Bible and Its Reception (EBR) in 30 volumes. Volumes 1 and 2 were published in 2009, and volumes 3-6 are currently in production for 2010 publication. EBR will be published in English and will be the first comprehensive biblical research tool to incorporate fully the history of interpretation and reception into an encyclopedic treatment of the Bible. This project will shape future scholarship on the Bible and its cultural and historical reception. EBR will, on the one hand, trace in comprehensive detail the impact of historical persons, places, topics, etc. on the Bible, and, on the other hand, the reception of the Bible, i.e. the reception of biblical books, persons, places, flora and fauna, pericopes, topics, motifs etc. 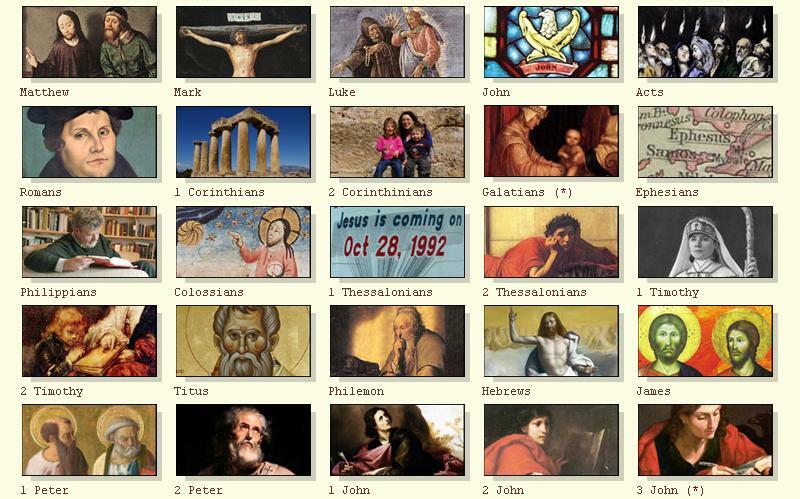 in the history of Christianity, Judaism, Islam, other world religions, literature, visual arts, music, theater and film. There are ongoing opportunities for publishing shorter (~200 words), longer (~2000 words), and in-between, entries on topics related to religion and film. 2010 begins the entries beginning with the letter "D". To give example of the range of topics covered, previous entries on film include: Abraham, Angels, Atheism, Blasphemy, Buñuel, Cain, Celibacy, Chaos, Desert. There are many more entries, but this gives a sense of the range of interests: specific directors, specific films, general biblical topics, and biblical characters and motifs. For further information, questions, and for examples of already published entries, please contact Brent Plate. My film night group watched Jezile (Son of Man) last night. For most of them it was their first viewing and they seemed to really enjoy it, particularly the ending which has apparently put many others off a little. It was also the first time I have watched it in a few years, and I think the first time I've seen it on a big screen (and in widescreen). I was a little disappointed that there wasn't much I noticed for the first time, although that's perhaps not surprising given how much I talked about the film when I first saw it in 2006. One thing that did stand out this time however was Mary's halo depicted in the shot above. It's interesting that Mary gets a 'halo' shot whereas, as far as I recall, Jesus does not. This ties in with one of the observations of one of my friends that Jesus almost isn't the main character. Whilst there's about half an hour in the middle where Mary is absent, overall this is as much a film about her as it is about Jesus, something that is reflected in the film's DVD cover which has a big close up of Mary across the top, but only a rear mid-shot of Jesus on the bottom. I also noticed that healing which Jesus performs when someone is lowered through the roof is not a paralytic man lowered by his friends (as in Mark 2 and parallels) but an apparently dead child handed down by (presumably) his mother. Whilst this change is obviously more emotionally powerful, it also means that out of only three miracles there two cases of someone being raised from the dead (the other being Lazarus). This counter-balances the lack of a resurrection for Jesus, and also puts an emphasis on Jesus' miracles as being acts of liberation from oppression. There are none of the nature miracles here, and it's significant that the only miracle we are shown which is not bringing someone back to life is the exorcism of a tormented girl. Lastly, I also noted the very secular take on the woman caught in adultery. Firstly the woman is not so much brought to Jesus, he just 'happens' to be in the right place at the right time. Secondly the crowd is not dispelled by an apparent conviction of their own sin, but by some soldiers, and then lastly there's no mention of her sin, or her need to "sin no more". This is an interesting development, not because it justifies the woman's actions, but because it emphasises that violence, particularly mob violence, is wrong in itself. It's not wrong because it is hypocritical (for we are all sinners), it's just wrong. 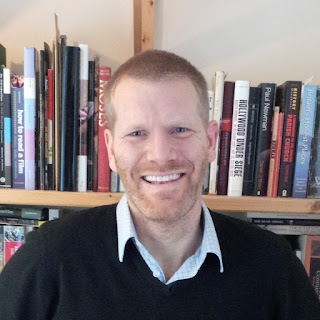 I've been watching with interest the progress of Nottingham University's Bibledex project - producing a short introductory video on each of the 66 books of the Bible - and I'm please to see that it's reached completion; all 66 films, along with a few extra features, are now online. 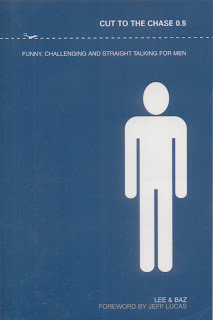 It's a great resource, featuring some well known theologians such as John Millbank and Anthony Thiselton, and will be really useful for the Through the Bible in Five and a Half Years course which I have been running. The final Old Testament session is in a couple of weeks, and I only wish that Bibledex had been available a year ago. Finding material on the minor prophets that is as well produced and informative as this has been a real struggle. Thanks and well done to everyone involved. Back in 2007 I made a couple of posts about two old Bible films from the BBC, Paul of Tarsus (1960) and Jesus of Nazareth (1956), after Mark Goodacre had brought them to my attention. Then last year I happened upon copies of the books that were brought out to accompany each series, both of which have a number of photos. There was seemingly very little information on the two series online, although WitlessD managed to find a good deal of information about the programme from an ancient copy of radio times. Then this morning I received news from Alan Chattaway (via his brother Peter) who very kindly passed on some information on the film online courtesy of Whirligig TV. There are a few photos (including the one above) and the following summary. Television history was certainly made in 1956 by a series of eight programmes produced weekly by the BBC. This was the first full-life reportage of the life of Jesus Christ to be created for television. In it, for the first time, an actor appeared in the complete role of Jesus; the part was taken by Tom Fleming. Treated as an experiment, Jesus of Nazareth was placed in the children's programmes slot on Sundays. But it attracted an adult audience whose appreciation placed it, as a BBC survey showed, next to the Coronation of 1953 in national appeal. The series was was produced by Joy Harington. It was considered her most notable work for television and she received the 1956 award of the Guild of Television Producers and Directors (now BAFTA), the first to be presented for a children's serial. A live studio production with exteriors filmed on location in Galilee and Jerusalem, it was a courageous undertaking. At that time, censorship regulations prohibited the portrayal of Christ by an actor in public performances. However, the Central Religious Council approved the project and Tom Fleming was cast as Jesus Christ. The serial was an outstanding success. Harington followed with a similar ten-part series, Paul of Tarsus (BBC, 1960), for which the exteriors were filmed mainly in Crete. Sadly, whilst Whirligig mentions Paul of Tarsus it doesn't appear to have any further information on it at present. I've just come across this series of musical Bible films from Liken. They're a series of hour long films that at the moment cover Esther and the King, Daniel and the Lions, David and Goliath, Jonah and the Great Fish and The First Christmas. You can view introductions and a few clips at the Liken website. I've only browsed a few of the clips, but I'm not in a rush to get hold of them, though I'll leave you to make up your own minds. 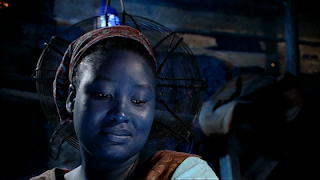 The Agent is the third of Saltmine's trilogy of short films modernising the Jesus story. 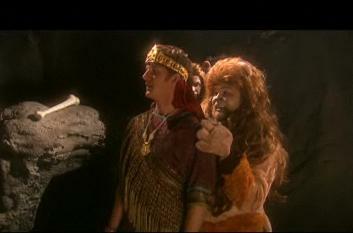 Like its predecessors (The Follower and The King) the film stars Richard Hasnip and is split into three short sections. But whereas The Follower was solely based on the Easter story, and each of the three parts of The King were about the Nativity, the three stories here are less obviously connected. What ties them together however is Hasnip's role as the eponymous agent who both features in, but also narrates his own story. The agent is paid by the Sanhedrin to spot potential troublemakers, and gather evidence that can then be used to discredit them or to destroy them. Left to their own devices such zealots could cause Rome to intervene. Having heard about John the Baptist the Sanhedrin set the agent on the Baptist's trail, but when he witnesses an encounter between the Baptist and Jesus his curiosity is aroused. 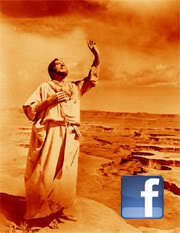 Following him into the desert he observes him for 40 days and so witnesses, first hand, his encounter with the devil. The scene is notable for a number of reasons. We see White using a various techniques that go beyond his work in the previous films. As the agent looks through his binoculars the camera-work changes to a more hand-held style. We also see some special effects and CGI giving extra impact to the temptations. White must have been tempted (himself) to use these new techniques in various other places throughout the film, but, if so, he wisely reined in any such impulses. By using these two techniques here, and pretty much only here, it also emphasises the more psychological aspects of this scene. The scene is strongly reminiscent of the same incident in Jesus (1999). Not only does it also use CGI to flesh out the temptations, but it also features a black-suited devil. This satan however delivers a nice line in dry humour and sarcasm that manages to inject a bit of humour without detracting form the gravitas the scene requires. The other two episodes of the film tell the story of the woman caught in adultery (John 8) and the raising of Lazarus (John 11), as well as continuing the story of the unnamed agent. The Follower was effectively three separate films - even the format and style were different between the different parts - whereas The King was clearly one film with a couple of breaks. This film falls somewhere in between with the episodes of Jesus' life being essentially separate whilst the agent's story really only makes sense across all three parts. It could have hampered the production, but it actually makes using clips from the film easy, whilst still delivering a strong narrative when the film is taken as a whole. And there's a nice twist, of sorts, which brings the question of how it relates to our lives significantly closer. The other significant difference between this film and the earlier ones is that The Agent has a significantly bigger cast. In addition to Hasnip's role as the agent and Job Buckeridge's Jesus there are also a number of significant speaking roles (John the Baptist, Satan, the woman caught in adultery, Mary and Martha) as well as various smaller parts (disciples, Sanhedrin members, members of the crowd, mourners etc.). This has obviously given a number of opportunities to a large number of less experienced actors, and in general they do well with the difficult task of modernising a story set two thousand years ago. No easy task. The hardest role to pull off is of course that of Jesus, but Jon Buckeridge does reasonably well with an exceptionally difficult task. His is a passionate and human Jesus, although he doesn't have quite the force of personality that I suspect the real Jesus would have had. Hasnip turns in another decent performance as the agent. As with the earlier films he is the only person to address the camera meaning we very much relate to him and experience the events that unfold through his point of view. It's interesting, then, that he's decked out in an orange boiler suit with strong echoes of Guantanamo Bay. This not only makes the audience sympathise with him, but it also subtly raises a few questions that go beyond the scope of the story. What does it mean that this Jewish member of the establishment is dressed like a Muslim anti-establishment terrorist? How would Jesus react to those suspected of terrorist acts. It's the first time in the series that Hasnip has really interacted with the other characters, although generally it's as an observer (again playing the role of the audience), and there's an interesting contrast between his passivity in these scenes and the activity in the to-the-camera scenes. It's also the first time I've seen him work with someone else's script (though I'm sure he is no stranger to it), and whilst there are a couple of weak lines, Craig Edgar's script is generally fairly good, certainly the way it structures and frames the material works well. 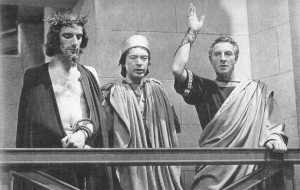 The film's biggest weaknesses is the scenes with the Sanhedrin. They sit in a darkened room and the intention seems to be that they speak with sinister voices, but, if so, it doesn't really work. And whilst the script is clear that the Sanhedrin are very much under pressure from the Romans, it's impossible to sympathise with them in any way, so that we're left with the unfortunate correlation that the only Jewish figures who aren't also Christians, are the baddies. Given that this is an independent film made on a low budget by a bunch of filmmakers whose primary goal is not Jewish-Christian relations, this is a fairly minor quibble, particularly as there are a number of strong points on display as well. White's camera-work is particularly note-worthy with its carefully crafted shots and interesting use of light and shade. And in a sense it's that which sums up the agent's story as much as anything else as having spent so much of his 'life' in the dark we finally see him squinting in the light. You can buy a DVD of The Agent or watch the trailer at Saltmine Trust. JC - Half-hour animated show about JC (Jesus Christ) wanting to escape his father's enormous shadow and to live life in NYC as a regular guy. Executive produced by Reveille, Henrik Basin, Brian Boyle, Jonathan Sjoberg and Andreas Ohman. 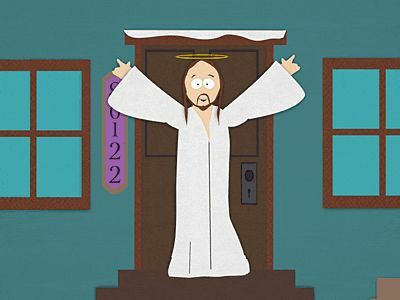 Given the recent pulling of an episode of South Park (pictured) that featured a Muhammed character, it will be interesting to see where they find the comedy in their premise. In a way it sounds not dis-similar to Hal Hartley's excellent Book of Life. Thanks to Jeffrey Overstreet for posting that one. I've been struck recently by how few of the many Jesus films offer any kind of theological interpretation of the crucifixion. In a sense this makes sense for the big Hollywood films such as King of Kings and The Greatest Story Ever Told which needed the broadest possible appeal to recoup their production costs, but even in films made by Christians this is relatively rare. In saying this I am, of course, setting aside the sayings of Jesus relating to his own death - aside from Mark 10:45, these are usually fairly cryptic. Brief examples are found in From the Manger to the Cross (1912) and Jesus (1979) which both end by citing John 3:16 (thus offering a brief interpretation of the crucifixion as an act of atonement). Only three films really stand out for me. The first is Jesus of Nazareth (1977) which obviously has a great deal more time to explore such issues. As Jesus is dying, the camera cuts to Nicodemus (played by Laurence Olivier) who quotes from the suffering servant portion of Isaiah 53 as a commentary on the events that are unfolding. We also find Isaiah 53 in The Last Temptation of Christ (1988). 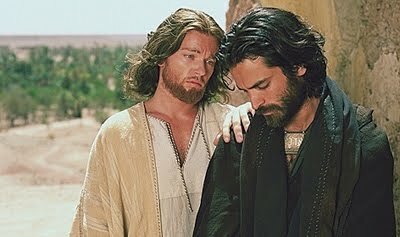 Throughout the film Jesus is unsure of which path he is to take, but then the prophet himself (played by the film’s director Martin Scorsese) appears to him and shows him the suffering servant part of the passage and Jesus is persuaded that he has to sacrifice himself. The film also uses the colour red a great deal, evoking blood as well as power. When Jesus is tempted in the devil he bites into an apple and ends up with blood on his face. Shortly afterwards is the infamous scene where he pulls his heart out of his chest, and to underline the point the scene is captured with red lighting. Later, during Jesus’ first visit to the temple, blood red smoke billows up around a statue of Caesar, whilst blood flowing from a nearby sacrifice is licked up by dogs. Then as Jesus throws a money-changer's stall into the air a Roman coin lands next to blood dripping from a different sacrifice. Here the old system is depicted as mixing the blood of Jewish sacrifices with Roman idolatry, whereas Jesus’ quickly actions mark "the end of the old law and the beginning of the new". In addition to all this, is the instigation of the Eucharist at the Last Supper. Not only does the film portray the cup of wine literally becoming blood, but blood is also shown on Jesus' palms as a nod, not only to the stigmata, but also to Jesus own fate. There is no question that The Passion of the Christ focuses in a major way on a substitutionary theory of the atonement, but as I argued in my article in Jesus and Mel Gibson's Passion of the Christ (38-9) ...it is not the only perspective on the atonement in the film, which also makes a great deal of Christus Victor and exemplary ("no greater love") atonement theories. Whilst many have criticised the film for it violence, in many ways such objections miss the point - at least from Gibson's point of view. The film is intended to be a contemplation of the suffering that Jesus underwent in order to reconcile humanity with its creator, it's an extension of a long held Catholic tradition. Even the question of whether or not the violence is realistic is not strictly relevant from that perspective. I have a worrying feeling that in posting in this I'll be reminded of numerous other films that give a far more detailed exploration of the theology of the cross earlier in the film, but for whatever reason, they are not coming to mind right now. Having had February's screening of Spartacus cancelled, and not having heard about last June's screening until it had already had past, I'm hoping it'll be third time lucky for watching Kubrick's Spartacus on the big screen. This is essentially a rescreening to compensate for the "technical difficulties" that scuppered the February showing. Anyway, the fun starts at Leicester's Phoenix Cinema at 7pm on Friday 14th May. Would Pullman's "The Good Man Jesus and the Scoundrel Christ" Ever Get Made into a Film? I've written a brief piece for the ReJesus blog on Philip Pullman's latest novel "The Good Man Jesus and the Scoundrel Christ". It's an overview of what's been said about the book thus far, rather than a review as such (because I haven't actually had a time to read it yet), but I've found the debate so far, not least the different ways Pullman has come across in the different interviews. Being a fan of Jesus films I've obviously been wondering, in the midst of all this publicity, if the book might ever get made into a film. There are a number of reasons why it wouldn't: the controversy; fear of boycotts, or much worse; the poor box office takings; a perceived lack of interest in films about Jesus; there being a number of other potentially controversial films about Jesus in the pipeline; and so on. On the other hand there are a few reasons to think that this film might, one day, make the transition to the silver screen. (What follows is pure speculation). Firstly, because controversial films about Jesus have been made before. Studios may be wary about such projects after everything that happened with Last Temptation of Christ, but it did mark something of a watershed: it's hard to imagine such large protests ever being held again. Following on from that there is some common ground with that film because that story also started life as a controversial novel. And there are a number of similar plot elements between Pullman's novel and Scorsese's film, particularly if you view the (scoundrel) Christ as a stand in for Judas. Not to mention the sceptical reading of Paul that both works adopt. Then there's also the fact that Pullman has already have films adapted from his books. It's true that The Golden Compass (from the "His Dark Materials" trilogy) did poorly at the box office, but I don't think many people have blamed the author for this. A different film in a different genre by different filmmakers might be an attractive prospect for another studio. So it will be interesting to see if a studio does decide to pick this up, and whilst I doubt I would agree with it's overall thrust, if done right it could make for an engaging exploration of the historical Jesus.